“What do you want to be when you grow up?” For any child, especially those with autism, it’s never too early to explore their abilities and apply them to their interests. 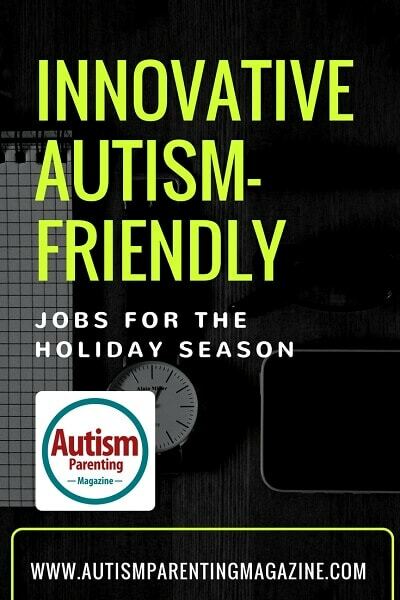 This holiday season provides the perfect opportunity for you to help your child begin to identify his or her unique talents needed for future workforce success! Theorized in 1983 by Dr. Howard Gardner of Harvard University, all people possess one or more ‘Multiple Intelligences’ – traits that better represent one’s potential than the traditional measure of I.Q. For example, someone who has difficulty using language to communicate with others might be able to play music giftedly, or the person who struggles to read and write might be highly-athletic. Think about your child’s strengths in the following seven areas. Having him/her try some of these seasonal jobs can help build interest in future fields of study and occupations! Though children with autism may have linguistic challenges, some have strengths within certain areas of language. Karen Kabaki-Sisto, M.S. CCC-SLP, has been a Communication Expert for over 20 years. She’s dedicated her life to helping people with autism & special needs find new ways in which to learn & communicate like never before. She has helped kids and families worldwide with her highly effective I CAN! For Autism Method™ – perfected for over 10 years and now incorporated within the iPad app “I Can Have Conversations With You!™” – Her mission is to help kids with special needs build self-confidence using new social and language skills…with FUN! Join the conversation at www.iCanForAutism.com.